Still getting over all the fun you had with scotch on Robbie Burns Day? Not to fear, Saint Paddy’s Day is almost here. Though the day holds great cultural and religious significance – commemorating the arrival of Christianity to Ireland – in practical terms, it commemorates the shifting from Scotch Whisky to Irish Whiskey (not to mention the addition of the “e”). While there’s been a resurgence of newer distilleries in Ireland, the Emerald Isle’s whiskey landscape is still dominated by but a few of the large players. Of those players, Jameson Irish Whisky is likely the first one that comes to most people’s minds. Triple distillation gives Irish whiskies a rather delicate, gentle character, and Jameson Irish Whiskey reflects these attributes in textbook fashion. 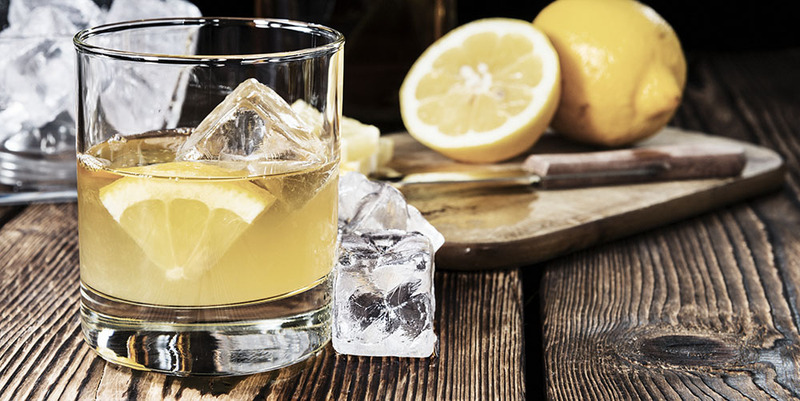 It’s an easy-sipping whiskey that will appeal to a wide range of palettes, but it can also be used as the base for some creative cocktails. Take The Irish Sour as one such mix-at-home example. Add all ingredients to a rock glass (original) or pail (Irish) filled with ice. Stir. Garnish with lime wedge/quarters. Stir. Enjoy. Maybe sleep. *To stick to the original recipe proportions, replace “quart” with “ounce” in the above. This is advisable for Irish and non-Irish alike. The Irish Sour not to your tastes? Try these 6 cocktails with the luck of the Irish. Want to know more about the rise of Irish whiskey? Read “The (Second) Rise of Irish Whiskey” by Sarah Parniak. Interested in what’s new in the world of whisk(e)y? Get the whole story here.